Jobsoid allows you to save your email messages as templates and use them to compose your next email message. Insert these ready-to-send templates to save a lot of your recruiting time. Your email will be sent out to your candidate and shown under the Recent Activity section on his profile. You will also be able to view your candidate’s response to your email in the Recent Activity section. 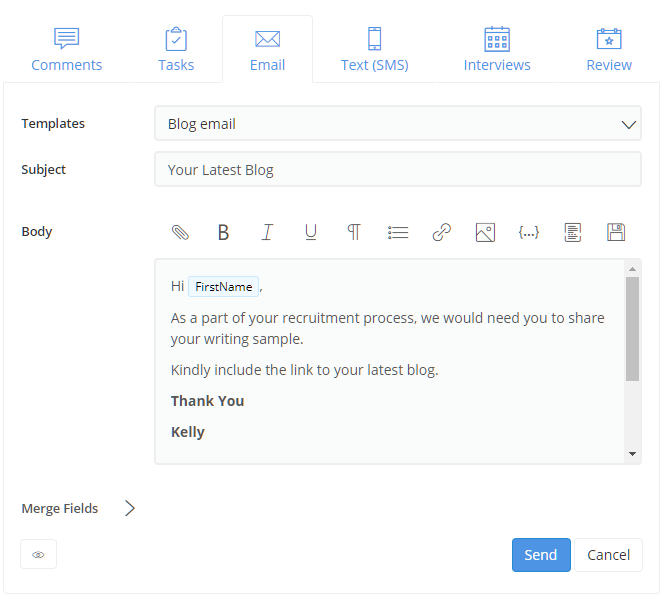 You can configure your recruitment pipeline in such a way that a recruitment stage is linked to an email template. Hence when you change the candidate status, an email is sent to the candidate notifying him about the status of the application automatically. To be sure that auto-sending of emails is enabled for the desired stage, you will be required to check your recruitment pipeline. If you see an envelope sign corresponding to the desired stage, it means that auto-sending of email is enabled for that particular stage. If not, refer this article to enable it: Sending emails automatically. 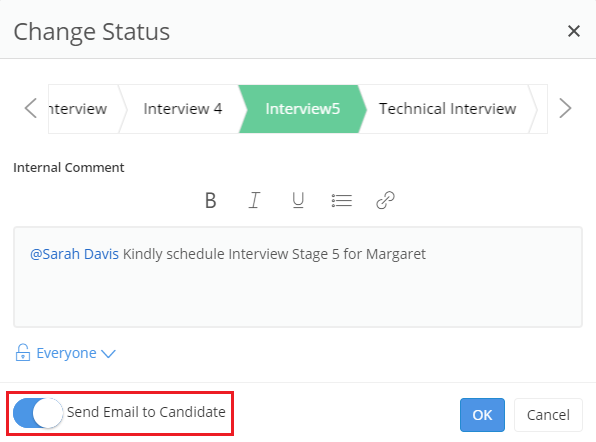 The candidate status change notification is sent automatically to the candidate through an email, and you can check the sent mail in the Recent Activity section on the candidate profile.